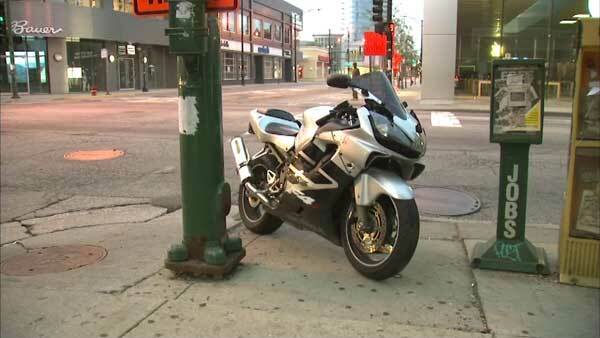 CHICAGO (WLS) -- Police said a person riding a motorcycle was injured in Chicago's Lincoln Park neighborhood. A police vehicle was responding to a call with its lights and sirens on and stopped at the intersection of North and Halsted Monday morning. Chicago Police News Affairs said the motorcyclist traveling through the intersection saw the squad, slammed on the brakes and fell off the bike. The motorcyclist was taken to Northwestern Memorial Hospital with non-life-threatening injuries.